Bollywood superstar Akshay Kumar was all supposed to break the box office record with his news film PadMan that is releasing on 25th January 2017, however, he had only one clash at the box office on the same date and that was with Sidharth Malhotra in Neeraj Pandey's film Aiyaary. Well, now one film of Sidharth Malhotra's Aiyaary directed by Neeraj Pandey has been shifted to 9th February but there is another big film that has come to Akshay's path. Actually, yesterday the makers of Sanjay Leela Bhansali directorial film Padmavat have announced its release date on 25th January and after the whole controversies, the makers finally have arrived with the actual release date. 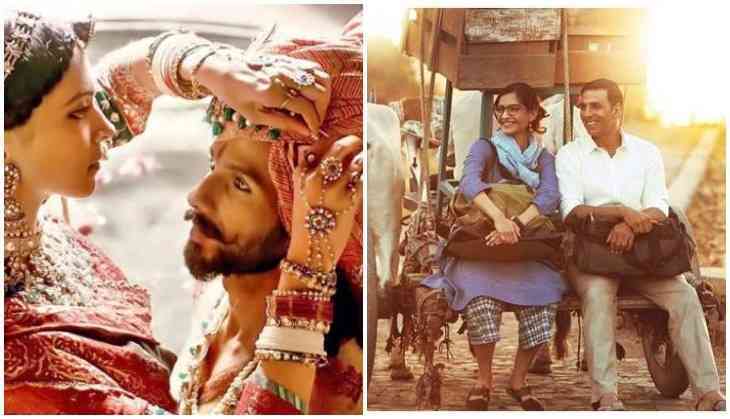 Talking about the promotions then despite that Akshay's film is based on the social issues but still, the controversy has helped very much to Ranveer Singh, Deepika Padukone, and Shahid Kapoor starrer film. This time makers are even ready for the protests against the film as they have finally told that it has taken very much time and now they can't wait for more. With this, now the expectations of 100 crores with Akshay Kumar, Sonam Kapoor, and Radhika Apte starrer film has once again on the discussion table. On the other hand, the makers of Padmavati are totally assured that their film will get a grand opening at the box office on the holidays weekend. Even the makers are expecting an easily 100 crore club entry of the Bhansali directorial film, but now it has to see will R Balki directorial film will stick to its expected dearnings or not. Is China's military eyeing bases in Pakistan?